Medications save lives, no doubt about it. In case of emergency or when nothing else can be done, properly prescribed medicine is a wise choice. However, the predominant belief in our modern society, that there is a pill for every ill, and furthermore, that there is never a better alternative to pharmaceutical drugs, is deeply flawed. 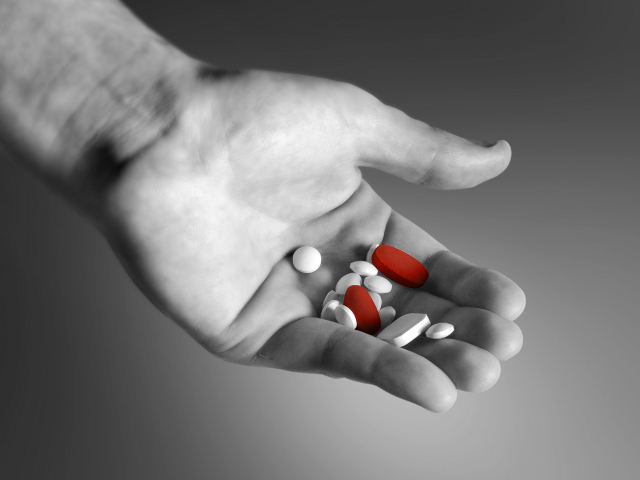 First, most drugs have various side effects, which can vary from minor annoyances to death from medication. And here I am not even talking about the consequences of abuse or overdose. Next, a lot of medications are full of various additives and fillers, including artificial dyes. A lot of these substances can be harmful to health, so it is really ironic that you can find them in the very products that are supposed to help you. Lastly, a lot of drugs prescribed for chronic diseases, don’t really heal you, but are merely treating the symptoms of an illness. You feel better, but the underlying causes are not addressed at all. For all of these reasons, you should not fool around with any medication. Always take only as much as your doctor prescribed you. And if you are on some long-term medication you should discuss with your doctor if there is any alternative way – a lifestyle change – that could eventually eliminate the need for taking drugs. You see, a lot of modern day, chronic, degenerative diseases are really a consequence of poor health habits, a bad lifestyle. Unhealthy food choices, smoking, too much alcohol, not enough exercise or sleep – this all adds up to poor health. All of these are obvious and any doctor will tell you so. Here, however, I want to tell you about my own little lifestyle change that solved my own – very little, but very real – health problem. A few years ago I had a bacterial infection of the ear that got treated with antibiotics. But that was just the beginning. Because of the use of antibiotics, a fungal infection followed, and I was prescribed another, anti-fungal medicine. This drug really screwed up the skin in my ear canals and I developed chronic eczema there. Then I had recurring inflammation/infection of the ear canals for a few months and therefore I was prescribed yet another medication: a prescription ointment containing a corticosteroid and an antibiotic. This drug worked wonders – finally I had my problem under control. Unfortunately, I became dependent on this drug to control eczema in the ear canals. I had to use it every few months or so, and that went on for several years. Then my health worsened and I researched on the internet the medication I was taking, because that could be one of the possible culprits. I found out that corticosteroids, especially if used on areas with thinner skin (like in the ear canal), and for long periods of time, can cause a lot of problems to your system. Long-time use of antibiotics can be problematic, too. After learning about these potential complications I stopped using my prescription ointment right away. However, I knew that I needed to do some lifestyle changes as well: I had to do everything that was in my power to prevent another inflammation of the ear canals to develop. I recalled that my doctor told me that shampoo or shaving cream could sometimes cause irritation, if it got into ear canals. So, I took extra care that no shampoo was coming into my ears when I was washing my hair – I started to use waterproof earplugs. Furthermore, I stopped using cotton swabs for cleaning my ears, because of mechanical irritation they produce. Usage of cotton swabs is not medically recommended method for ear cleaning, anyway. If I had gotten a lot of wax in my ears, I just used a soft paper tissue to clean it. Finally, I started to apply aloe vera, and occasionally jojoba cream, to outer parts of my ear canals to prevent dryness and itching. Even though I believe now, that my medication was not the sole reason for worsening of my health back then, I am happy that I got off of it. I don’t use earplugs anymore, but I still take care not to shampoo over my ears, I still don’t use cotton swabs, and when necessary, I apply aloe vera or jojoba cream. If I went back to the old ways of doing things, eczema could return one day. The point I am trying to make is that with a few simple changes I was able to cease using potentially troublesome medication, without my old symptoms coming back. However, the important thing to remember is that permanent results only come from permanent lifestyle changes. Posted on November 4, 2012, in Healthy living and tagged cotton swab, drugs, ear problem, eczema, health, health habits, lifestyle change, medication, medicine. Bookmark the permalink. 1 Comment. I agree with you. Our society depends heavily on allopathic medicine, for almost anything. There are definitely better alternatives available, depending on the illness ofcourse.